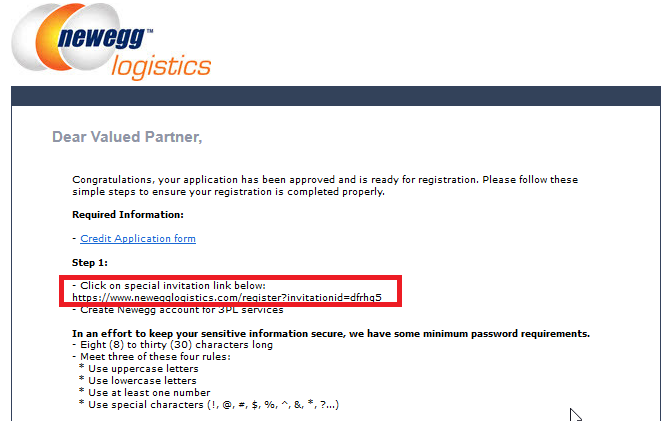 After contacting Newegg Logistics Sales Team, an invitation email will be sent to your email address. Click or paste the hyperlink from the email to open web browser. You will be guided to create an account step by step. Each step is required, and must be completed before moving forward. 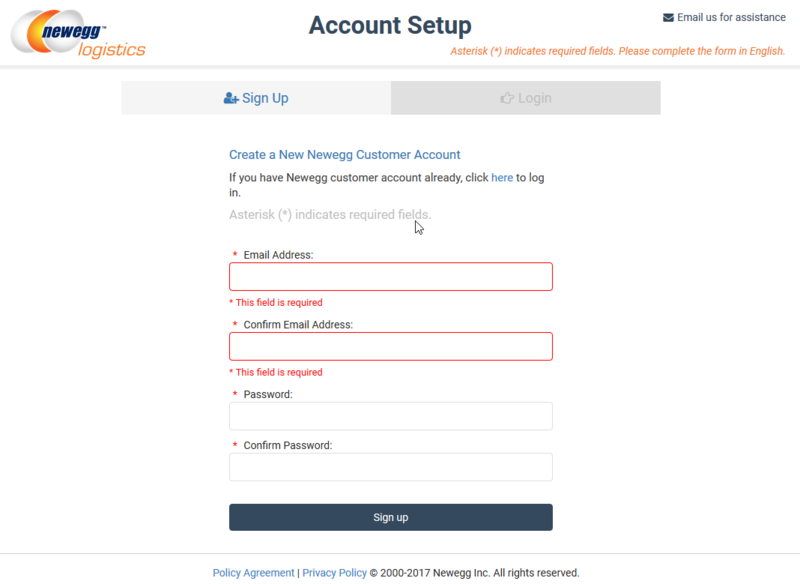 Input the email address you prefer to log in Newegg Logistics Portal in the future, and create password. Then click Sign Up button. Input a business name you like to be known along with main contact person, number & full business address. Then click Next button. Input a default payment method (Credit Card/Paypal) on file. 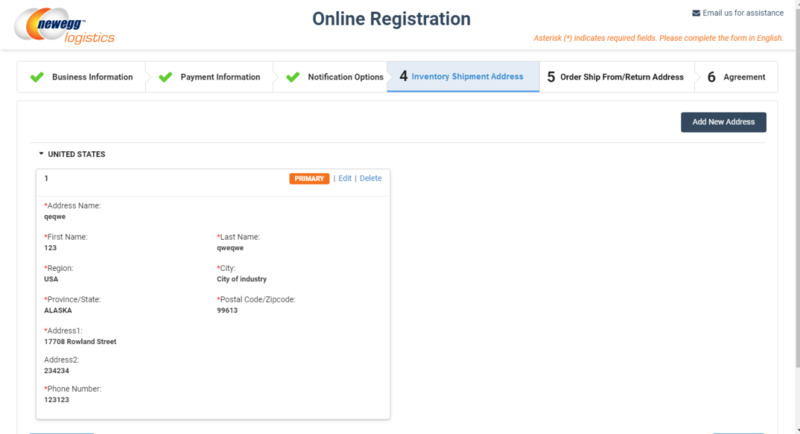 A working payment method can be used to pay invoice online. Input 1 or more email addresses where email communication can be received. 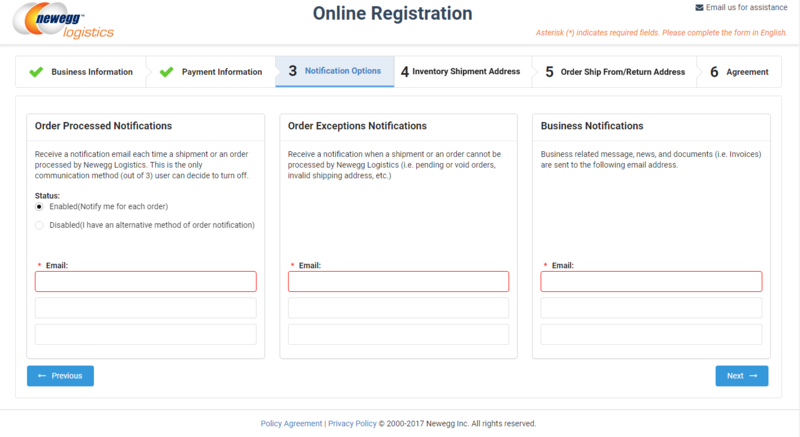 Order Processed Notifications (including activities of shipment received, order shipped, RMA received, etc.) can be subscribed or disabled by your preference. At least 1 email address for both Order Exceptions Notifications & Business Notifications are required: the former will notify you about any case we were not sure how to handle based on current setup, and the latter is for us to update you important news of Newegg logistics services. Tell us where your warehouse located. This address is used to identify shipments or return your inventory in the future. This return address will be used to route reject/refuse packages. 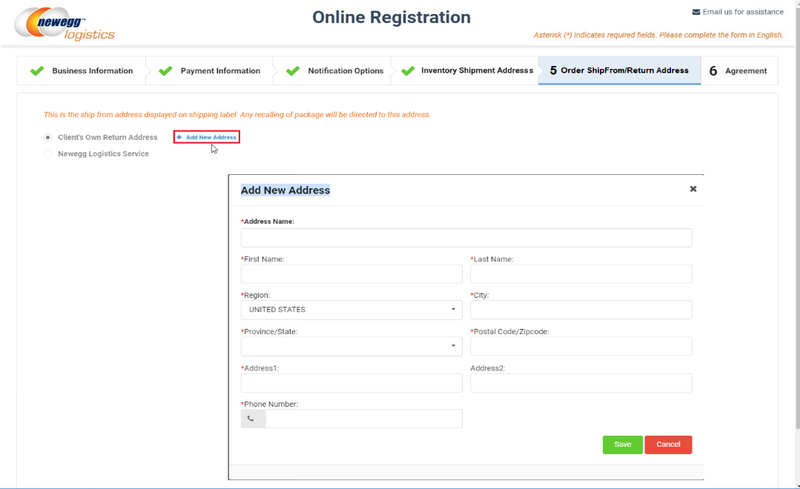 You can use your own address or select Newegg RMA services, where Newegg RLC warehouse address is applied automatically. 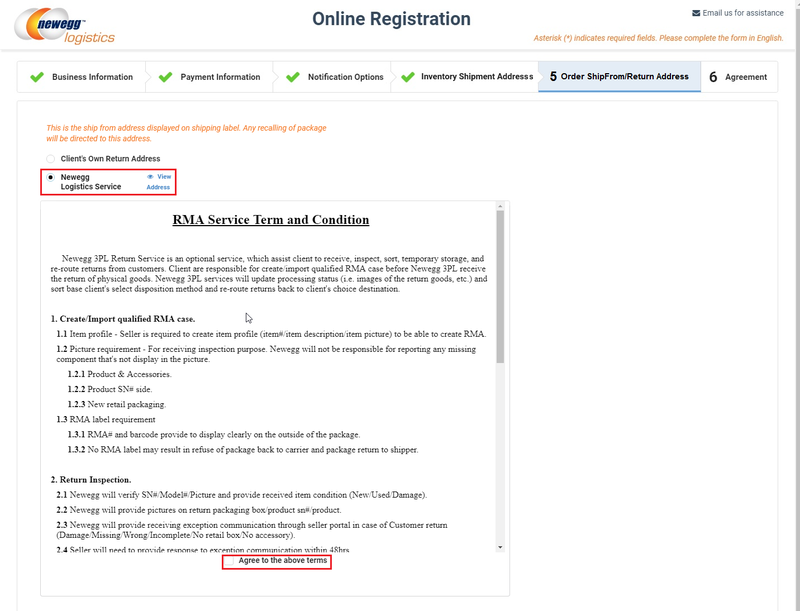 You must read and agree Newegg RMA Service Terms and Conditions to select this option. 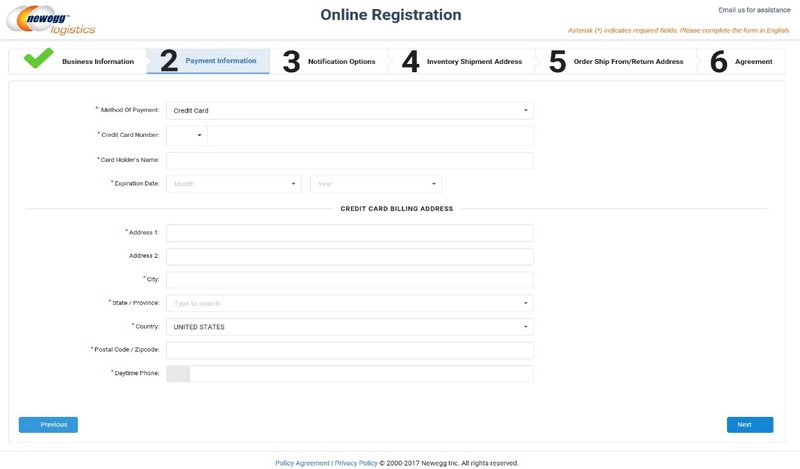 This is the final step of Registration process. 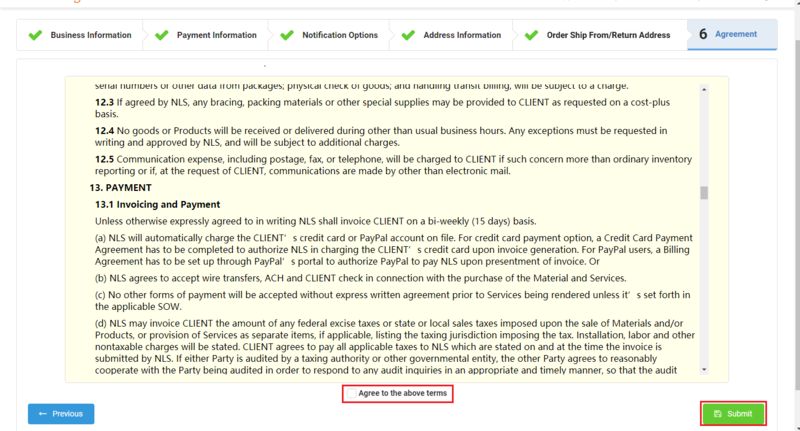 Read the Newegg Logistic Service Agreement carefully, and check Agree box. Then, click Submit button. Congratulations! A confirmation email will be sent to you shortly. 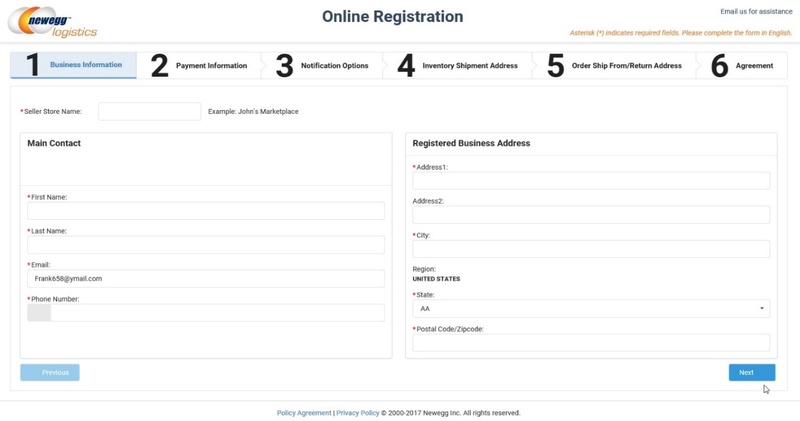 You can log in Newegg Logistics Portal to create your products and send us inventory. Look forward to serve you & your business. * [Payment Information (for eBay)] If you are referred to Newegg Logistics services by eBay, special payment terms applied. You must review and agree by checking the box below. 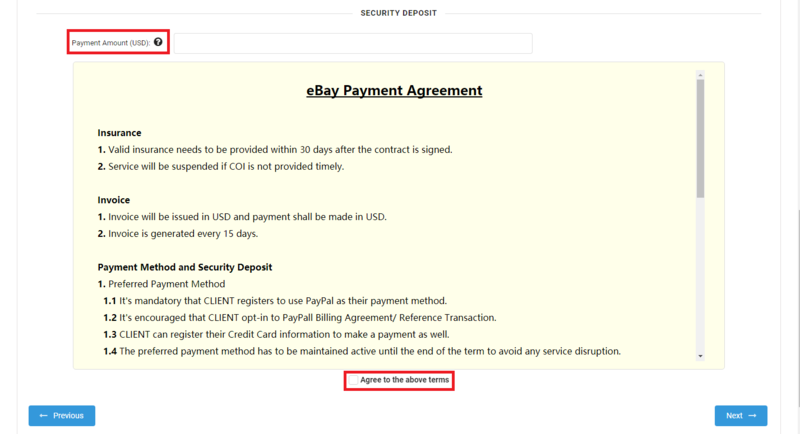 Besides, a minimum security deposit of US $50 is due upon registration. The amount you entered will be withdraw from the default payment method at the end of registration process.